Corporate Wine Gifts- The Best Way To Get Your Audience Talk About Your Brand! Wine Business gifts make perfect marketing items for those with a taste for the finer things in life. Be it corporate luncheon parties, business events, gala dinner or more, custom wine gifts will make a great pick. Wine gifts include a lot of promotional gift choices in all possible price points. From wine carriers to wine chillers, wine glasses or even bottle openers, there is a long list of custom gifts that can be considered. The best part is that a unique, customized wine gift will not just impress the wine connoisseurs but anyone with an appreciation for wine. Make an ordinary promotional campaign to something extraordinary with these elegant gifts that enjoy red carpet welcome all round the year. 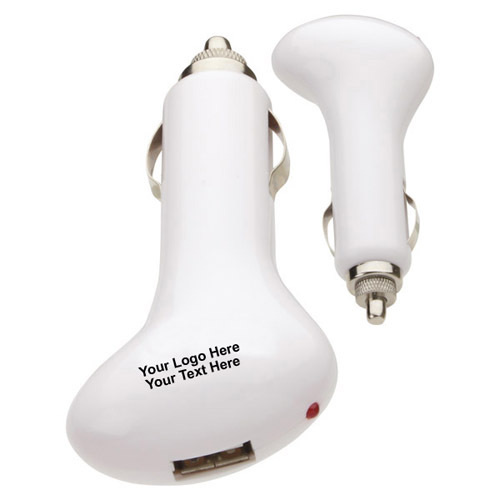 Imprint your brand and message on these logo items to make them a treasured gift for years to come. Here are some unique custom gifts that will add a fizz to your branding campaign and leave your audience truly delighted. Small, yet a welcome addition to the wine accessories of everyone, these budget friendly custom gifts will keep your brand image fresh among your audience for a long time to come. Every time they relish the left-over wines from last night’s party, they will be reminded of your brand. Great wines weather fine with time and your brand on these wine accessories too will get more popular with every passing day! 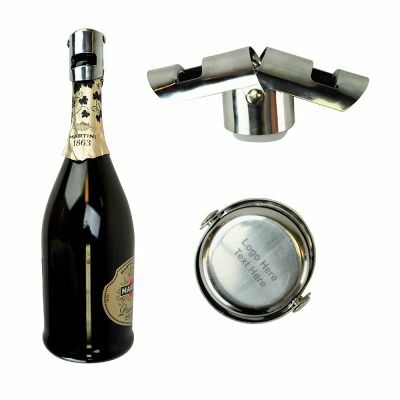 Stainless Steel Bubbly Keeper that fits the bills of both a champagne stopper and foil cutter will make a great choice to consider. Imprint your brand and message on these attractively crafted wine accessories and leave your audience on a high! 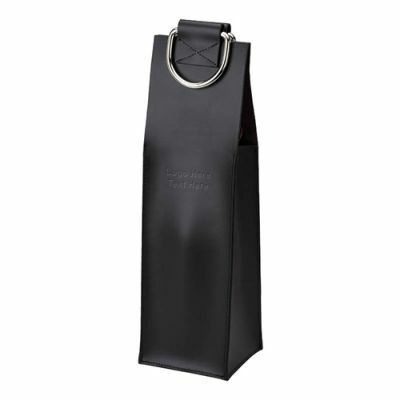 An elegant and classic wine bag will go a long way in enhancing the value and beauty of your corporate wine gifts. 4-Bottle Wine Tote Bags made of polyester will make excellent giveaways for wine tasting events, picnics and parties. Designed to carry four wine bottles, these totes also have a front slip pocket and wrapped carry handles that complements its appearance and functionality. If you are looking for something upscale and regal, Bice Leatherette Wine Carriers will make great handouts for clients whom you think deserve a special appreciation or reward. These wine bags flaunt a Black leatherette finish and have magnetic snap closure, soft brushed interior and metal carry handles that will further enhance its elegance. 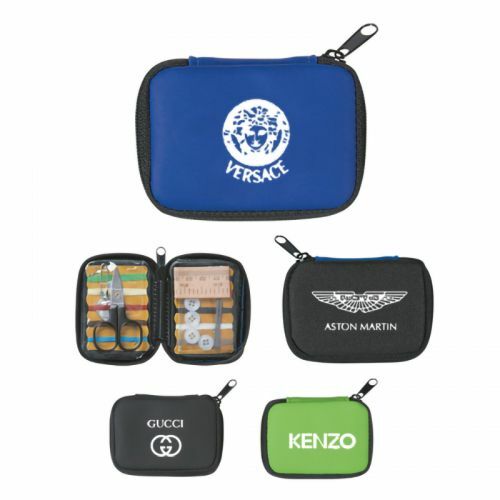 These elegant gifts will make the sun set hours of your recipients more enjoyable and put your brand in their plain view. Imprint your brand and business message on these spectacular wine sets and every time they raise a toast they will appreciate your brand as well. Marseille Wine Sets offered in a lovely gift box include a waiters’ corkscrew, drip ring and wine bottle stopper easy foil cutter that will create a classic brand impression easily. Though bottles openers are easy to get overlooked, these pint sized wine gifts hold the potential to make or break any party! Everyone needs a handy bottle opener to pop the top of wine bottles without spillage and mess. Not finding a bottle opener can leave the party revelers red faced for sure. 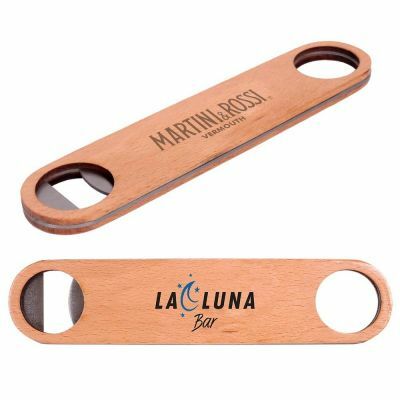 Wood and Stainless Steel Bottle Openers that feature top and bottom layers with satin finished natural wood to add a classic twist to the metal design will make a durable handout. Your brand will weather the rough and tumble of cocktail parties with ease. 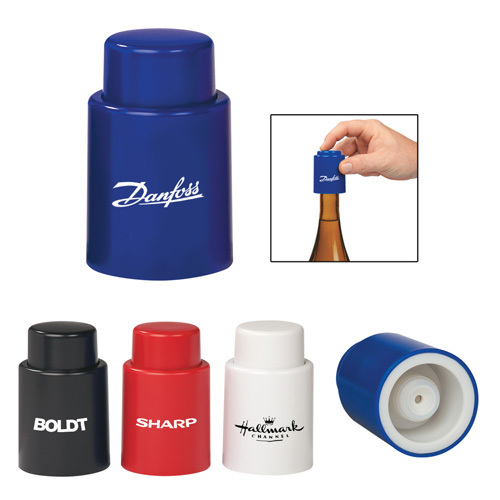 Which of these custom wine accessories are you planning to make your promotional items? Share your thoughts with us in our facebook page. Why Bar and wine accessories make one of the most popular promo gifts?